Any of us looking to build a bigger and better online presence could learn a thing or two from Chris Raulf. A quick Google search of his name brings up a dozen pages of results on the man in question: personal and business webpages, authored articles, social media pages, speaking engagement announcements, video tutorials, etc. Indeed, SEO expert Chris Raulf wears many hats: consultant, trainer, author, keynote speaker and, as of January 2017, TCLoc instructor. 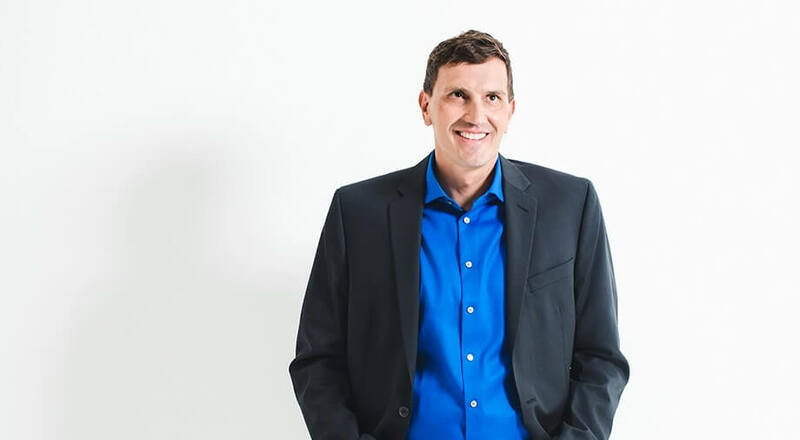 I had the pleasure of speaking with Chris recently to gain some additional insight on his personal and professional journeys toward becoming one of the world’s foremost specialists in international search engine optimization. Originally from Basel, Switzerland, Chris has been living in the United States, in Boulder, Colorado, for 20 years. He began his career in marketing, completing training at both the SAWI Swiss Marketing Institute and the Marketing and Business School of Zurich. He proceeded to build a career in international marketing, taking on positions as e-commerce and multimedia localization project manager for Lionbridge, sales support and business development manager for RWS, marketing manager for ENLASO, and director of marketing for Lingoport, among others. However, after 12 years of working in the language services industry, Chris decided to redirect his career path. Applying an inherent talent and affinity for teaching, Chris launched a digital marketing and search engine optimization consulting and training company. Then in 2009, he founded Boulder SEO Marketing, an agency that has been recognized as a leader in the fields of digital marketing and SEO and which was recently named a top Denver SEO company by UpCity. Chris’ company Boulder SEO Marketing, based in Boulder and in Denver, offers the full plate of digital marketing services in both Search Engine Optimization (SEO) and Social Media Marketing (SMM). The company specializes in SEO training and consulting, helping clients to develop sustainable and powerful strategies for increasing traffic on their web or social media pages. It also offers SEO site audits, LinkedIn training, international search engine optimization (ISEO), social media marketing, content marketing, and other related services. Within the company, Chris is a leading consultant for international SEO, working with clients to help their digital marketing and SEO strategies reach new levels of effectiveness on an international level. He also leads half-day and full-day online SEO training sessions, scalable to each client’s needs. Besides offering services to companies around the globe, the Boulder SEO Marketing founder also teaches workshops in the Denver and Boulder Colorado area, and has recently launched a self-paced online SEO training course, which is available to a global audience. In recent years, Chris has also been taking on more and more speaking engagements. This October, he will deliver a lecture on international SEO titled “Localizing and translating Websites Just Doesn’t Cut It Anymore” at the Elia ND Forum in Bucharest, and in March he led a standing-room only international SEO workshop titled “Up-sell to New and Existing Customers,” for language industry professionals at the at Gala Conference in Amsterdam. “Finally I’m getting to where I’m teaching and speaking as a regular part of my job, and I love it,” says Chris. Another preconception that can interfere with a company’s ability to improve their online visibility is that “SEO sometimes has a bad connotation, because people associate it with getting scammed. That’s why I educate, because they just don’t understand.” He continues, “I’m more of an educator than a salesperson. I just tell them everything I know. And then you don’t have to sell, once they get it, they’re sold.” Chris in fact has a largely open source teaching model, and shares a large portion of his templates, videos and other training materials online for free. Chris Raulf met TCLoc founder and director Renate De La Paix years ago at a GALA Global conference in New York after giving a master class about ISEO. On this occasion, he and De La Paix discussed the high-potential, yet sadly underexploited, link between localization and SEO, further turning the gears of a project that would eventually give birth to the TCLoc Master in Technical Communication and Localization at the University of Strasbourg. In surprising contrast to his impressively industrious and multi-faceted career, Chris’ modes of work and communication are both straightforward and easy-going. He resorts to relaxed and open communication and education methods, with students and clients alike. Even his articles and learning materials on SEO (many of which are available online) are approachable, engaging, and effuse the sense of passion he so clearly harbors for his work. When he is not working, Chris Raulf enjoys the great outdoors of Boulder, skiing in the foothills, rock climbing, hiking, doing yoga, and he plays on two soccer teams. “Unfortunately, soccer didn’t work out,” he chuckles, “I never became a professional”. Although I suppose his current profession is a close dream-career second.